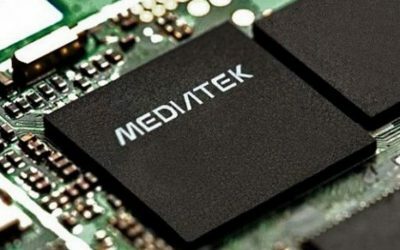 Taiwanese manufacturer MediaTek has launched the second generation of Helio P chipsets with faster clock rate and improved core functionality. The new chipsets are labeled P20, P25 and X30. The high-end Helio X30 SoC belongs to MediaTek’s X series. The success of MediaTek’s Helio P10 is said to have pushed the company to bring out the latest P20 and P25. The power-efficient, Performance-oriented 4G LTE processor is aimed at upcoming mid-range smartphone and tablet lineups. Mainly designed for premium phones, the P20 is built on a 16nm process node and offers 25% better power efficiency and higher processing performance. It also offers significant multitasking and multimedia improvements through its new LPDDR4X memory support. MediaTek claims the octa-core processor clocked up to 2.3GHz, showing 20% higher performance than the Helio P10. Towards the GPU, it packs the new Mali T880 MP2 graphics unit that is capable of running heavy video and gaming apps. The P20 additionally supports 24MP single camera or dual camera and up to 4Kx2K 30FPS video decoding/encoding for viewing HD contents. With regard to P25, not much details are out in the open yet. But Pocketnow claims the chipset will offer dual-camera support with optical zoom, and enhanced photography processing aspects. The X30 will retain its tri-cluster architecture and will support up to 8GB RAM, fast UFS 2.1 storage, dual-cameras up to 26MP and 4K video recording. While the Helio P series is engineered to provide premium performance optimized for “super slim smartphone designs”, the X series is focused on extreme performance and boosted multimedia experiences. The post Mediatek Launches Helio P20, P25 and X30 processors appeared first on Gadgets Post.